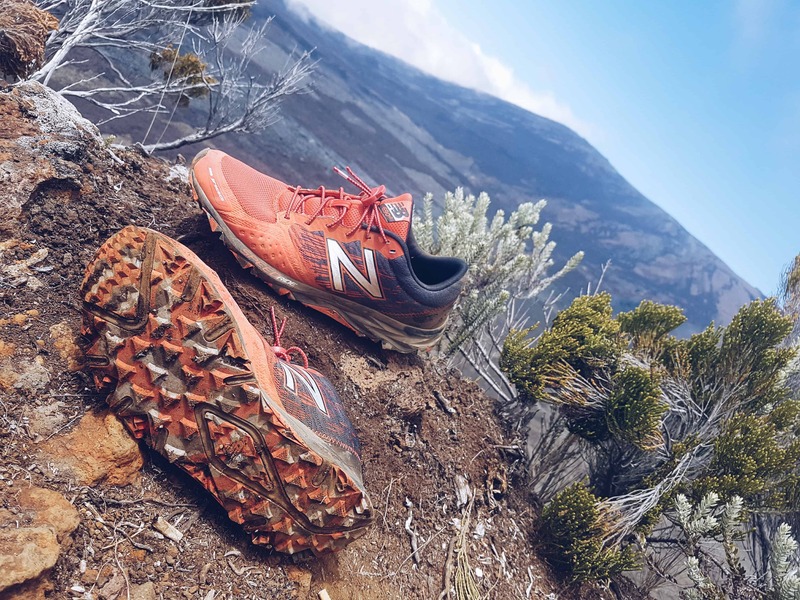 What to look for in a Trail shoe? Discussion in 'Running Gear and Equipment' started by Bucky, Nov 14, 2017. Hi I've a trail running newbie question for you. At the moment I've been road running but I'm looking to have a go at trail running. I know what I need in terms of size & fit. But the variety of tread patterns from hybrid (road & trail) up to aggressive tread patterns is confusing me. I've got some Brooks Ghost 7 road shoes which I'm perfectly happy running on roads, wet hardpack, dry ground and smooth uneven cobbles. I'm looking for something I'd be able to use on grass, wet mud & looser gravel. But also some hardpack and short tarmac sections as some of the trails I've looked at are mixed surface. So does that mean aggressive tread patterns are a no no? Should lean towards a pair of all terrain or something in the middle? I'm considering something like the Asics Fuji renegade 2's which appear to have a good mud shedding tread but may be no good for any brief tarmac sections? Or the something like the Mizuno Wave Daichi 2, which dont seem overly different to road shoes except for slightly deeper tread? I'm just looking to tackle some challenging trails in most of what the British weather can throw at me but not the extremes of fell running (a previously dislocated patella, means I'm overly cautious on descents, but that's another story). Any tips, pointers or recommendations before I get myself down to the shops would be greatly appreciated. Edit: I apologies for the giant pictures its hard to see what size photos I'm linking to on my phone. I have some Salomon Speedcross 4, which I find really comfy and sure footed, can't really give a full review as they have only had a limited use so far, am planning to change that in the not so distant future.. But the other two pairs gets use a lot, as we have soft trails around here, like the Ridgeway,Thames and the canals. Bucky, Steve and Mudrock like this. Brooks Cascadias - my current trail shoe. I like it but I don't love it. I prefer more cushioning and these are quite hard underfoot. But I do feel more secure on slippy trails in these than in my previous shoes. Salomon X-Missions - I liked these because they were road-to-trail which is useful and the trails I was running in California were pretty smooth underfoot so I didn't need anything with deeper treads. I don't think these would handle my new British muddy trails very well. Bucky, I'd really get down to a good trail-running shop and get some expert advice and try as many pairs on as you can! Bucky and Mudrock like this. I've used Sportiva Anakondas (no longer in production or I would have gone back to them) and Norman Walsh PB Elites - both pretty aggressive in terms of tread. Primarily I use them for fell running and full off road runs, but they're fine even for a few km of tarmac if necessary - it is a slightly odd sensation as the studs move slightly on landing but there isn't any noticeable loss in grip. One thing I would note is that if you use something like a PB Elite on hard surfaces at fast paces then they do wear quick - mine now need replacing at about 200 miles, which I'm ok with but if you wanted to get more life out of them then you could get a trail shoe for dry days and a more aggressive shoe for muddy days. Any suggestions on road-to-trail shoes that do a decent job on both surfaces? I'm sure it's realistically a case that it's 'master of none' but do you know any shoes that do a good job? Its difficult to suggest something specific since its very dependent on foot shape, how much cushioning you like and how much support you need - but I can show you a picture of the tread of the Pure Grit; it has a lot of 'nobbles' but they're fairly flat and not too deep - so I suggest something similar for mixed running. That tread looks pretty decent for road-to-trail, thank you! I shall investigate. Awesome thanks for your help. I'll do some more research about the the trails I want to run and then get myself down to a shop to see an expert. Asics Gel Kanaku for me - I run a mix of unpaved park paths and roads in mine on my weekend runs (12 - 15km) and they seem to suit me ok. My road shoes are Brooks Ravenna, if that helps to give you an idea of the sort of shoe that suits me.